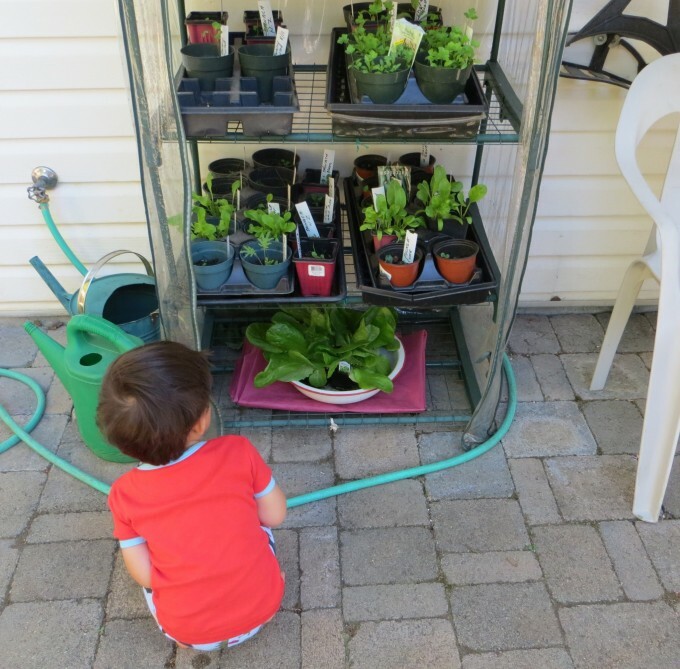 What better way to introduce a small child to the ways of learning to garden with lots of fun and laughter and positive reinforcement than with a grandparent. Our grandson at two years of age already loves to help water the vegetables, plant onions, help fill the compost bins and dig dig dig. Did I mention he also loves to pick strawberries and grapes when they are ripe and often before then. Here’s a few ideas to add to your own to make gardening a great experience for your little prince or princess. Radish is always an easy favourite to plant from seed – just a few seeds a time and re-seed every 10 days – so that during future visits there is something to pick and eat in the garden. 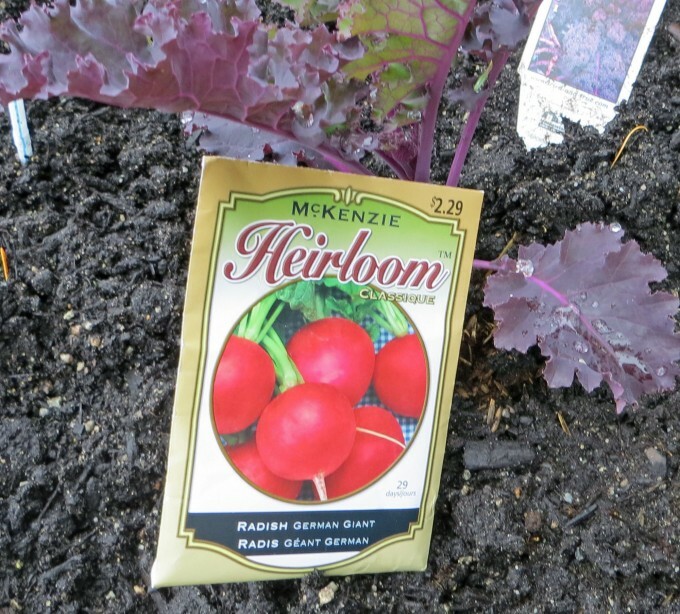 As an experiment (for me) for the first time we are planting an Heirloom German Giant radish (McKenzie seed) which grows to baseball size in 29 days as well as the regular 28 day red cherry radish. Radish is easy to direct seed with a small child. Scarlet runner beans and sugar snap pole peas are the next favourites to plant from seed. These are both heavy producers, especially the beans which grow “Jack and the Beanstalk” style between visits. When planting, if your grandchild is sleeping over the bean and pea seeds can be soaked in water overnight to hasten sprouting. 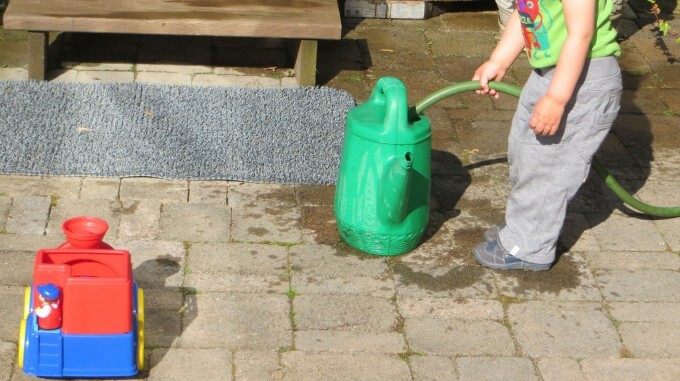 Helping to water the garden and filling containers is a great fun activity! The second group to consider for your grandchild’s garden are transplants such as kale which is fast growing (40 days) and is easy for children to plant and they can pick small leaves direct from the plant as it grows and keeps producing. The same applies for lettuce and parsley. Also plant some flowers; again purchasing small, possibly flowering plants such as lavender, marigolds and herbs (e.g mint in pots) to attract bees. 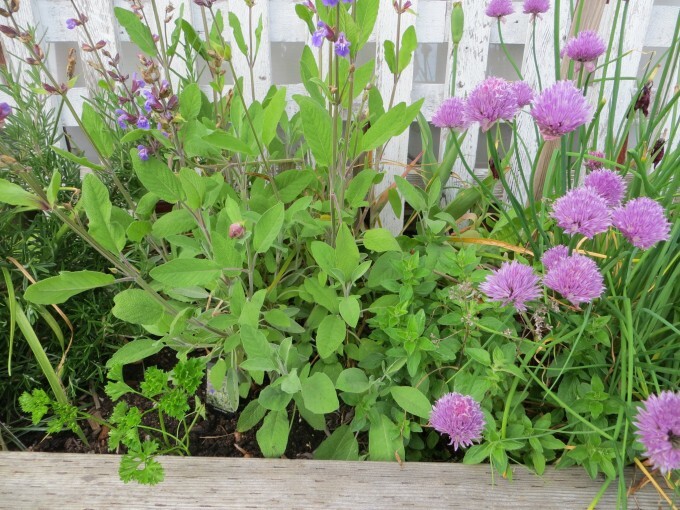 Other herbs easy to buy and transplant are parsley, sage, chives, oregano, thyme and rosemary. Onion sets are a super fun activity with young kids from making holes and planting with the roots down. Yes, I have cheated and planted the rest and replanted a few onions which were planted upside down in the soil. 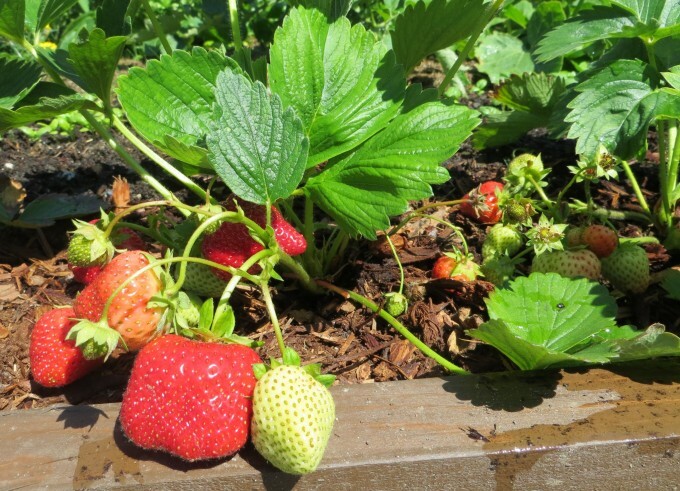 Our #1 fruit we grow specifically for our grandson is everbearing strawberries and they are planted under our new espalier pear and apple fruit trees. We already have a prolific Arctic Kiwi which produces a delicious small fruit – just the right size for a toddler. What a wonderful way to spend time to teach another generation how to garden without chemicals. For a few dollars investment you can have a million dollars worth of joy and fun ~ and memories to last a lifetime. Other easy vegetables to grow are spinach (42 days) and swiss chard (55 – 60 days). Combine transplants and seeds. As your grandchild(ren) gets a little older teach them how to propagate a fig tree or sage, both of which are very easy, and he can give them away as gifts! with warm memories of times together. treasures in the heart …..
Hmmm – what can we transplant first ?